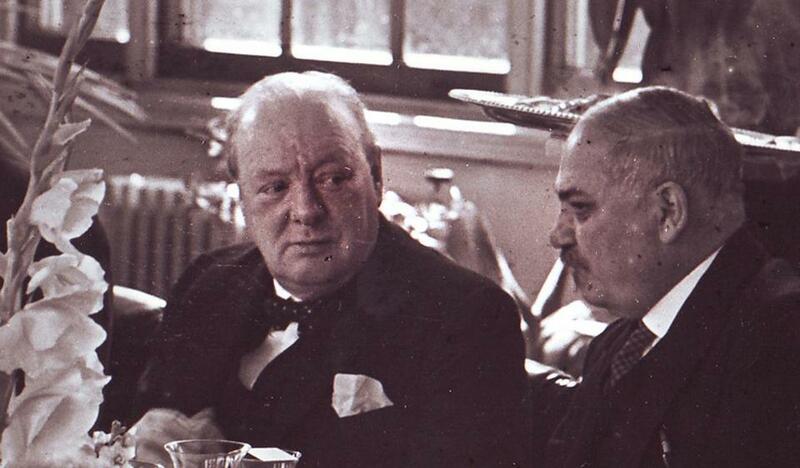 Winston Churchill and Ivan Maisky dined in the observatory of the Russian Embassy in London in August 1941. STALIN’S BLOODY TERROR of the 1930s discouraged any Soviet official from putting pen to paper, let alone keeping a personal diary. The only significant exception is the fascinating, rich journal kept by Ivan Maisky, the Soviet ambassador to London between 1932 and 1943. Serendipity often lies at the heart of discovery. One can easily imagine how thrilled I was when, by sheer chance, I came across the original, uncensored diary while working in the archives of the Russian Foreign Ministry. 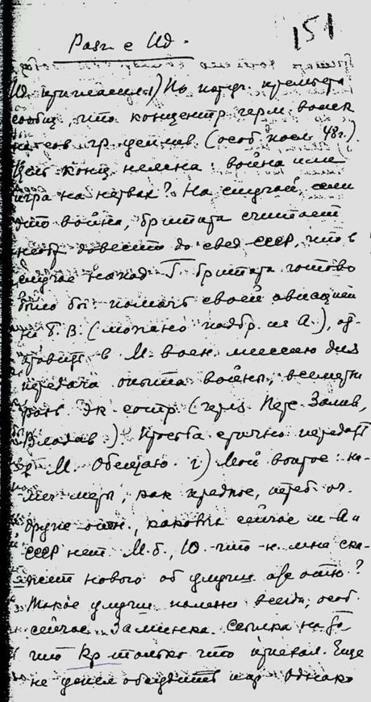 It was immediately obvious to me that no personal manuscript of such breadth, value, and size has ever emerged from the Russian archives. It would hardly be an exaggeration to suggest that this diary rewrites history that we thought we knew. At its most intimate, the diary contains personal reflections and impressions about people who decided the fate of nations — Winston Churchill, US Ambassador Joseph P. Kennedy, Neville Chamberlain, and a host of others, including H.G. Wells and George Bernard Shaw. At its most substantive, it contains tantalizing revelations about what might have been had the course of the war been different. 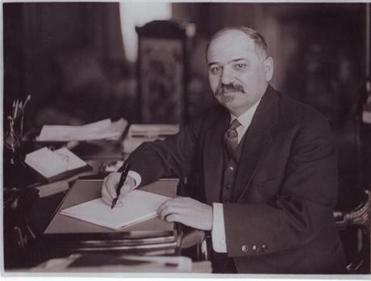 Ivan Mikhailovich Lyakhovetsky — who adopted the revolutionary nickname Maisky or “Man of May” — was the son of a Jewish doctor from Poland and a Russian Orthodox schoolteacher. He grew up in a rather bourgeois environment in Tomsk, and was introduced to socialism while studying at the University of St. Petersburg. His early revolutionary activities led to his expulsion from the university and exile to Siberia, where he gravitated toward the Mensheviks — the more moderate faction of the Russian Social Democrats. In 1908, he went into exile abroad and later joined the large community of Russian political exiles in London. He spent five years there, fostering a close friendship with Maxim Litvinov, who, for two decades was to help steer Soviet foreign policy. Maisky’s outstanding linguistic and intellectual capabilities earned for him the post of a counselor at the London embassy in the mid-1920s, followed two years later by a similar appointment to Tokyo and then a meteoric rise to the ambassadorial post in Helsinki. 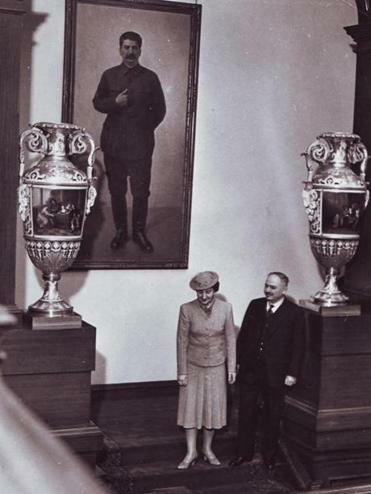 The hasty decision to appoint Maisky as ambassador to London at the end of 1932 reflected Litvinov’s very early recognition that Weimar Germany was on her last leg and that the advance of Nazism required a dramatic turnabout in relations with Great Britain and the West. Maisky was instructed to court the Conservatives who were “the real bosses in Britain!” There he remained for an unprecedented 11 eventful years. Maisky’s diary entry of June, 12, 1941: An unheeded warning by Eden about the possible German attack on Russia. Ivan Maisky was blessed with an extraordinary memory, which, enhanced by his penetrating psychological insight, piercing observation, and insatiable curiosity, turned him into one of the most astute witnesses of Britain in the 1930s and 1940s. “You used to look down upon us from the Gallery in Parliament,” remembered Harold Nicolson — author, diplomat, and diarist — in a letter to Maisky, “with benevolent interest — rather like a biologist examines the habits of newts in a tank.” Maisky’s lifelong penchant for writing prose and poetry makes the diary a fascinating hybrid of literature and history. The diary defies the traditional view of Soviet policy makers and diplomats as anonymous at best, or as archetypal or caricature-like. It shows that even at the peak of the Stalinist terror and purges of the 1930s, Soviet society and politics were imbued with personal human interactions and emotions. The significance of his war diaries can hardly be overstated also for the singular account they provide of critical meetings. While it was the practice of the British foreign secretary to keep a record of his meetings with ambassadors, this did not apply to the prime ministers. No records exist in the British archives of the many crucial conversations between Maisky and Churchill before and during the war. For all its historical value, the diary is also a record of a diplomat ahead of his time. Maisky’s unconventional but innovative style, which at the time irritated many of his interlocutors, has since become the norm for diplomats. He was certainly the first ambassador to systematically mold public opinion, mostly through the press. What an ambassador has to aim at, Maisky commented, “is intimate relations with all the livewires in the country to which he is accredited — among all parties or circles of influential opinion, instead of shutting himself up with the other diplomats.” He was a superb public relations man, at a time when the concept hardly existed, and did not hesitate to align himself with opposition groups, backbenchers, newspaper editors, trade unionists, writers, artists, bankers in the city, and intellectuals. In terms of geopolitics, the diary sheds light on the degree to which Russia was left out in the cold during the 1938 Munich Agreement — and how it might have been possible to prevent the Russians from signing the neutrality pact with Nazi Germany in 1939. It suggests that if the alliance that was forged between Great Britain and the Soviet Union in July 1941 had been in place two years earlier, World War II might have been averted. These revelations throw fresh light on the grand alliance between the United States, Britain, and the USSR in the wake of the German invasion of Russia. It was Maisky who engineered the dangerous flight of Franklin Roosevelt’s influential adviser Harry Hopkins to Moscow to meet Stalin, a mere month after the invasion. A cosmopolitan, polyglot, independent-minded, and former Menshevik with Jewish roots, Maisky lived a vulnerable and dangerous life. Although he succeeded in walking a tightrope, Churchill’s praise of him as a first-rate ambassador in 1942 drew from Stalin the snippy comment that Maisky “spoke too much and could not keep his tongue between his teeth.” The mini personality cult that surrounded Maisky and the fact that he had gone perhaps a little too native (he was even observed to wipe a tearful eye during the funeral of the Tsar’s cousin, King George V.) were hardly received with equanimity in the Kremlin. In 1942 a senior Soviet leader returned from London with a devastating critique of Maisky’s residency: “I felt that my presence had disrupted the English daily routine of my hosts.” No wonder that in June 1943 he was recalled to the USSR despite unprecedented appeals from British officials to keep him in London. In 1953, at the age of 70, he was finally arrested, accused of treason, having “lost his feelings for the motherland.” He was scarcely saved by the bell when Stalin died two weeks later. Maisky nonetheless spent another two years in prison, having been caught up in a web of Kremlin intrigues. Rehabilitated in 1960, he was elected to the Russian Academy of Sciences and died in 1975 at the ripe age of 91. In 1971, The Boston Globe published a three-part series by Maisky on the start of World War II.